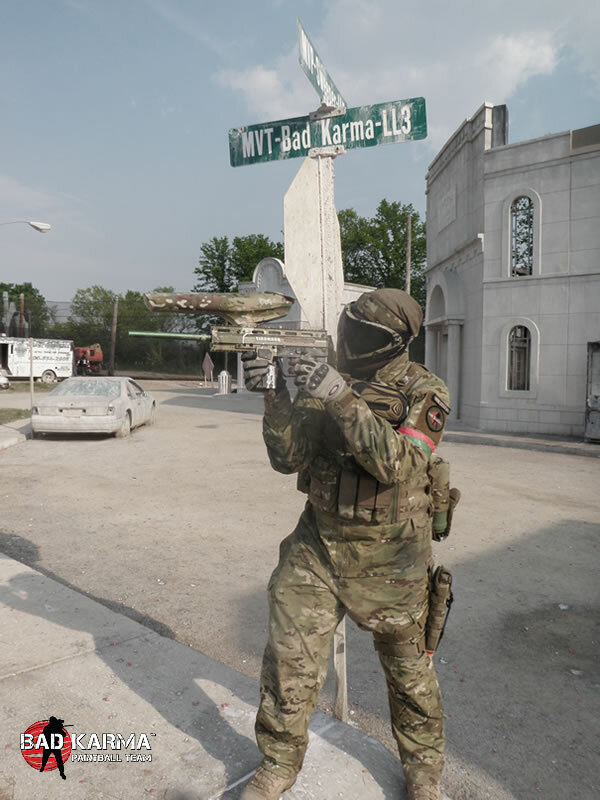 Bad Karma definitely puts paintball equipment through some demanding testing. The Full Clip Combo Rig is no exception. Most team members run the vest currently, and it has been tested throughout 2011 at events in Salt Lake City, Portland, Chicago, Detroit, Mesquite and beyond. So here's the dilemma: How do you convey just how different this gear is? As a team, we've worn out and played through a lot of equipment on the market. Some of it is good, but a lot of it is built to last just a season. With soft goods like vests and pod packs, cheaper material and stitching can lead to break downs over time. Full Clip has a reputation for providing military grade tactical solutions for discriminating 'ballers. We didn't really know what that meant until we tested the vest and saw the quality difference. A little background though: The same team that designs real life gear for select military groups designed this vest. What that translates into is a vest that passes the rigorous and demanding standards of U.S. Special Operations Forces. You can literally go to war in Full Clip gear. When you start with that design goal in mind vs. designing something that gets used a few weekends a month, you come up with a very different product. For those of you that know the Full Clip line of tactical gear already, the Combo Rig is a combination of the Rack/Rig Vest Front Panel with the LMAV Vest Back Panel. These panels are almost completely MOLLE—making the vest fully customizable to fit individual game day needs. You can attach pod and/or gear pouches wherever and however you want to. Some of the possibilities are listed at the end of this review. If you haven't used a MOLLE setup before, be sure to tuck accessory straps back under to lock them in. The first impression we got when trying on this vest was that it's like close-fitting body armor. The Combo Rig is designed so well with a 4-point harness and strategically placed padding that the weight is distributed evenly, not just on your shoulders. Eight side adjustment straps and heavy duty side zippers customize the fit nicely. Taking off the vest is as simple as unzipping one side zipper and slipping your head out—no re-adjustment is necessary when putting the vest back on. All these features translate into comfort that lasts the entire game and a vest that helps, rather than gets in the way of your play. The mesh backing and raised padding keeps you cool during those extended scenario games. It also has a hydration pouch with hook and loop at the top for securing the bag (which you provide). Your hydration tube can be fed out the shoulder strap openings in addition to optional sling accessories. The top front section of MOLLE can also be collapsed and secured in the bottom half for those extra hot days. Once you start seeing all these little design features in action and the quality of construction up close, you really begin to appreciate the vest. The size zippers even have small securing straps at the top so you don't come unzipped accidentally in the course of play. What's surprising is that the vest is light weight, yet durable and can be customized to fit anyone from Daggers to Hammers with ease. 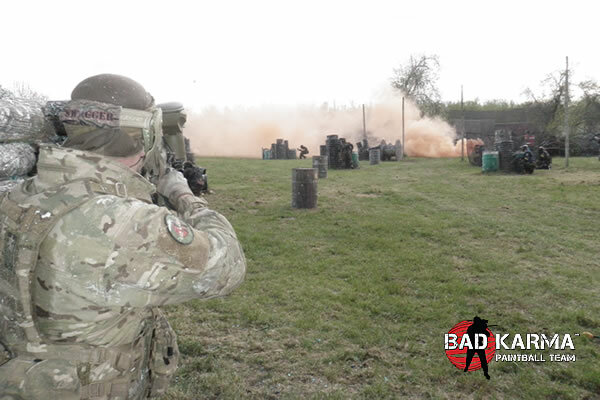 We appreciated the versatile, MOLLE-compatible platform and the nice range of quality accessories Full Clip produces for it. Overall Impression: After a full season of use, we can honestly say this is the best vest we have ever tested. 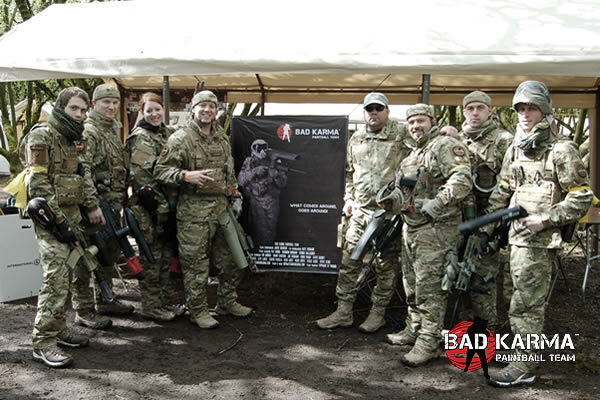 That endorsement doesn't come lightly as primary testers all have 15 or more years of experience playing scenario paintball. 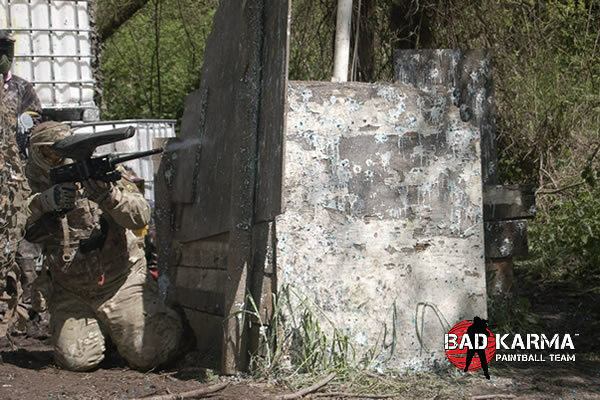 We love the customization in fit, the body armor feel, that tactically it can be customized for any style of play and that it's made in the USA with quality materials. It is a very well thought out and designed vest that lets you focus on playing. Because of this, the Full Clip Combo Rig get's a full 5-star Bad Karma endorsement. MSRP of $199.99 and worth every penny. 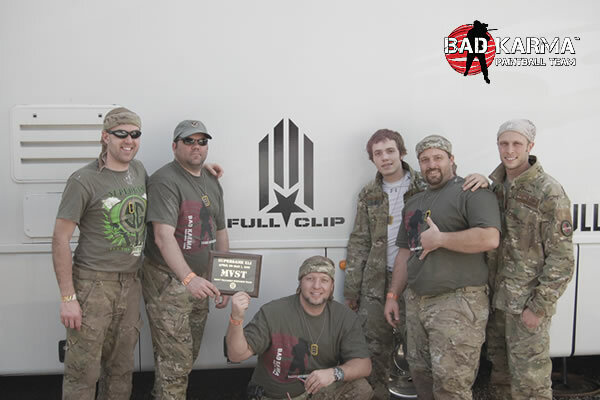 For more information, go to www.fullclipusa.com. 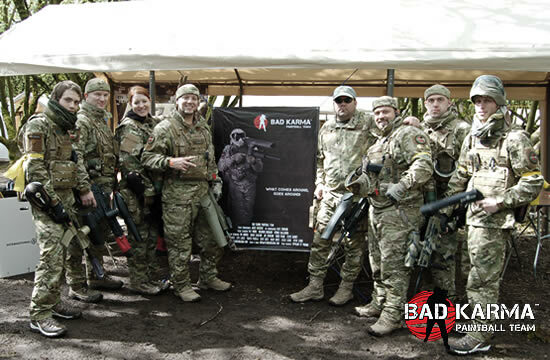 Copyright © 2019 Bad Karma Paintball Team® (Bad Karma LLC). All Rights Reserved.